Goert Giltay was born in 1952 at Zandvoort, a seaside resort in Holland. As son of a painter he became at an early age familiar with the world of arts. After High School he attended the Academy of Arts in Arnhem, and later the Film School of Amsterdam. In that time he was very much impressed by films like Five Easy Pieces of Bob Rafelson, and the films of Fellini, Antonioni, Pasolini, Saura, Erice, Tarkovsky. After a decade of camera work in documentaries he became involved in drama, for both tv and feature films. 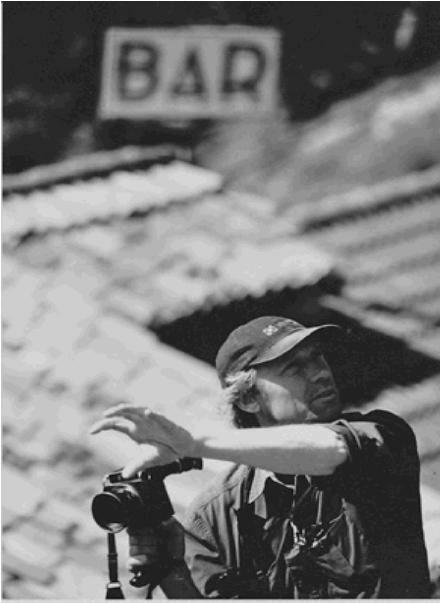 Due to his interest in making filmlight he developed from lighting cameraman to director of photography. Admiring the work of Laslo Kovacs, Nestor Almendros, Conrad Hall, Vittorio Storaro, Gordon Willis. He worked, and works, with well-known directors as his filmography shows, and received several awards. His cinematography for The Flying Dutchman was declared as one of the 100 cinematographic highlights of the 20th century by a jury led by Bernardo Bertolucci and Sven Nykvist. Nowadays you can find him on the set of feature films, documentaries and commercials.